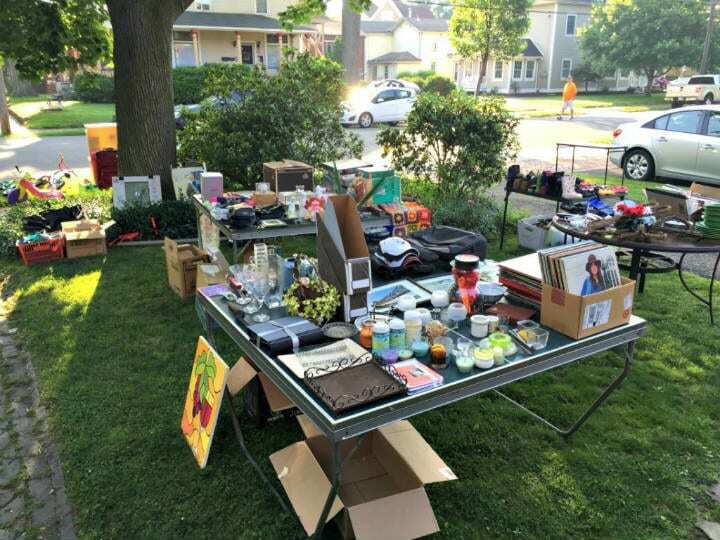 There’s nothing quite like the rush of rifling through a sale, especially when it comes to a yard sale. The owners are looking to get rid of their extra stuff and willing to part with it at bargain prices. 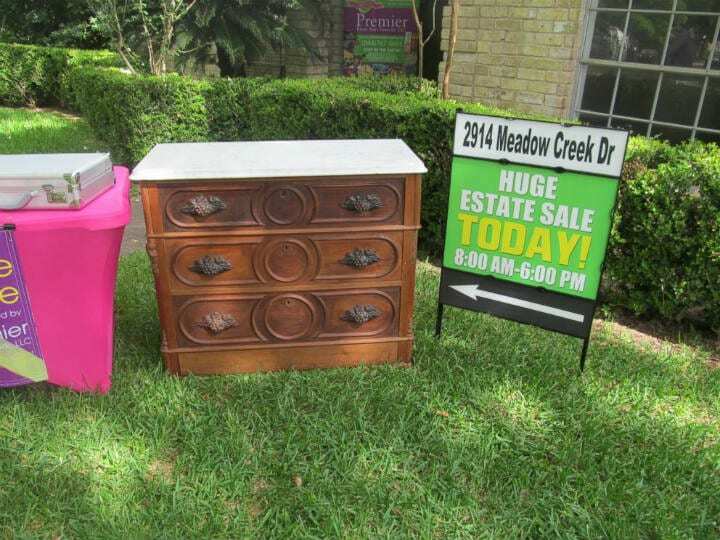 Making yard sales and estate sales a veritable treasure hunt. One man who knew just that is Emil Knodell, who has has a passion for finding antique rare items. One day, while on the hunt for a deal, Emil made the purchase of a lifetime. 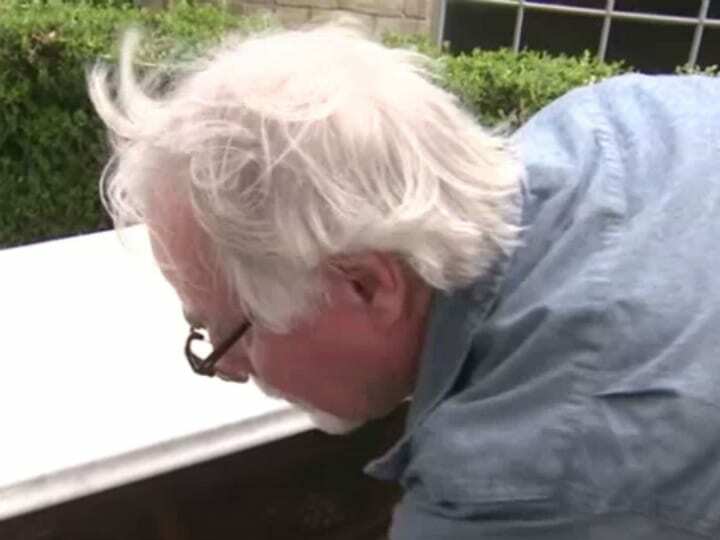 He bought an old dresser at a yard sale and heard weird noises inside. When he opened the dresser, he found something he wasn’t bargaining for. 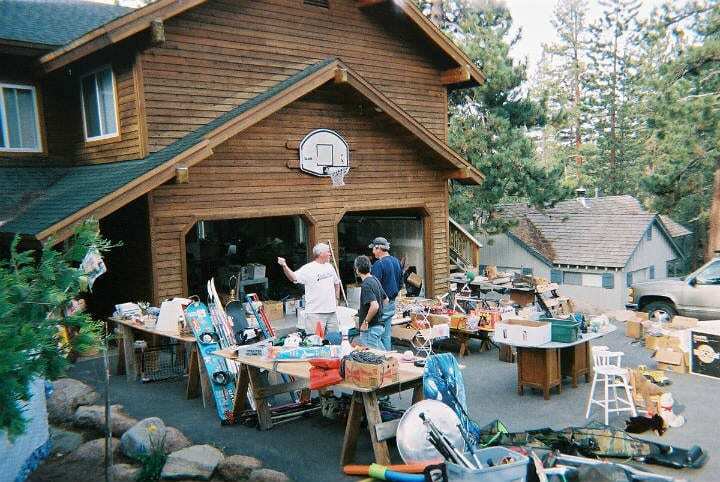 After reading this story of Emil’s epic find you’ll want to run out to the first estate sale or yard sale you can find! 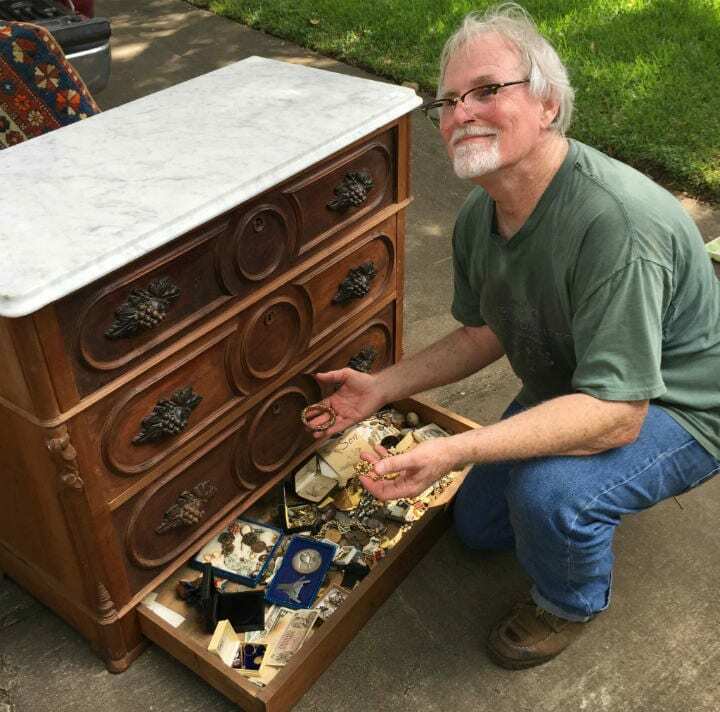 Not only is Texas native Emil Knodell a 67-years old retired marketing director and US veteran, but he is also a treasure hunter. He enjoys spending his free time scouring estate sales and yard sales, just hoping to stumble upon incredibly valuable items that others had tossed out. And as luck would have it, the old adage “one man’s trash is another man’s treasure” would soon truly be the case for him. 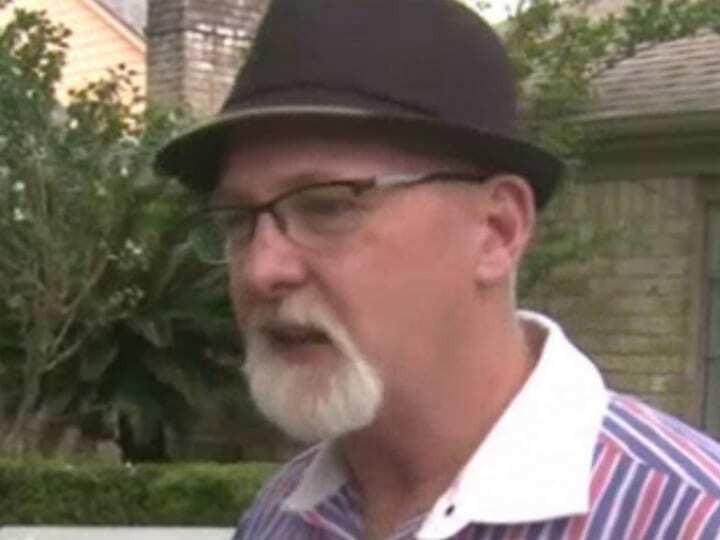 It was during one of his quests scouring yard sales that he ended up in the city of Missouri City, Texas. 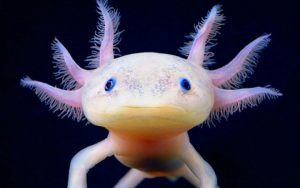 At first, it seemed like a relatively normal estate sale, but little did he know that he would find something incredible there. Something that would possibly change his life forever and make his story a national sensation. Emil Knodell was well aware of the odds of finding a great antique or valuable steal at a rock bottom price. However, the estate sale he’d come across that day wasn’t just a run of the mill rummage auction. 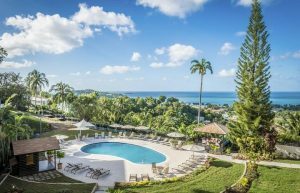 He approached the estate sale with high hopes, and quickly learned that a company called Premier Estates Sales Network was actually running the event. The company had vast experience in running estate sales. They would, by all means, try to make sure that everything sold at a fair price and that no valuables were overlooked; meaning that they would do their best to make sure patrons didn’t coincidentally end up finding that diamond in the rough — literally. But that wasn’t enough to stop Emil from trying his best to find something special at the estate sale, even though the agency that was putting it on was trying their best to make sure that nothing slipped through the cracks. But little did they know that something huge was about to slip out of their hands. “I always come to a sale with an open mind because you never know,” Emil Knodell later told reporters. And that is exactly the attitude that bargain shoppers need. You can’t expect to always find treasure. However, in this specific instance, Emil was about to strike gold with his amazing find. One item, in particular, caught Emil’s attention. It was an antique wooden dresser. The dresser was nothing too unique. It had a marble top and three wooden drawers and according to its appraisal, it was an antique dating back to the 1890s. While the dresser was old, Emil didn’t know just how valuable it would turn out to be. As he rummaged through piece of furniture, he found that all the drawers in the dresser were empty. It seemed there was nothing too special about the dresser, it wasn’t overly ornate, but still something about it caught the attention of Emil’s eye and he simply had to have it. And it’s lucky he did. 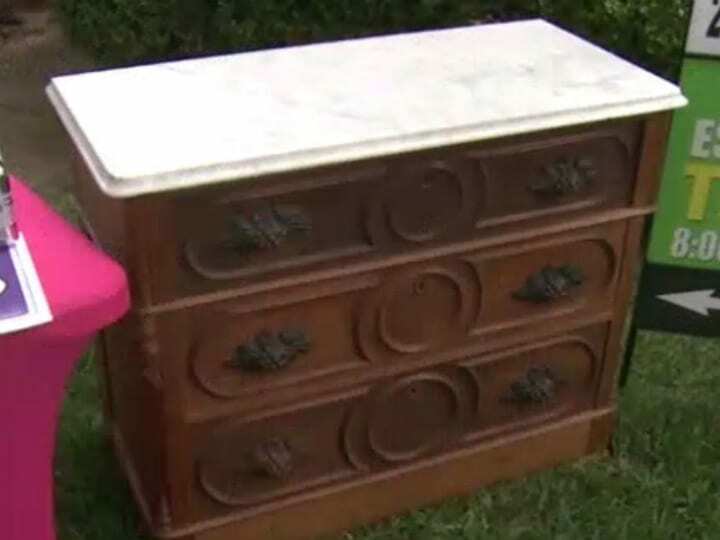 As luck would have it, the dresser had already been sitting at the estate sale for three days already and the company managing the sale was ready to get rid of it as soon as possible, even if that meant cutting down the price. The original price of the antique dresser had been $300 when the sale started and now, in the last few days of the sale, they were willing to part with it for less than $100. That price made the piece a steal. But there was far more than met the eye when it came to the 1890s antique wooden dresser. The antique dresser, at less than $100, was indeed a steal. But that wasn’t all that was incredible about the antique. 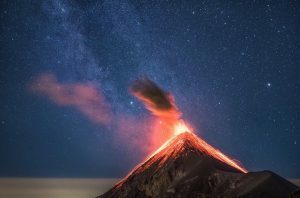 It held a secret that had been hidden from the world possibly for multiple decades. It seemed likely that not even the relatives of owner of the estate knew what really was inside of the dresser. Emil’s luck was just getting started and he was about to further hit the furniture jackpot with his purchase. It was a lucky move that would eventually lead him to gain back far more than what he paid for the item, about 150 times what he paid for the item in fact. It wasn’t until Emil had already purchased the dresser and tried to get the antique into his car that he suspected that it was holding a secret. From the outside, the dresser appeared perfectly normal in every way, but by chance, Emil was about to stumble onto something bigger. The antique dresser was far too bulky for Emil to carry it himself, so he then asked for help loading the dresser into the back of his truck. Emil didn’t know it at the time, but moving the antique dresser would soon enough reveal that not everything was what it seemed. It was only when the men helping Emil started moving the antique dresser that something seemed out of place. Being made out of wood, the dresser was very heavy. But maybe, just maybe, a little too heavy for an empty dresser. Something just wasn’t right and at first, no one could put their finger on. They then laid the dresser on its side and that’s when they heard it. A cacophony of sounds came from within the dresser. This left everyone with puzzled looks on their faces, seeing as how the dresser was seemingly empty. They inspected the inside of the antique and found yet again, that it was empty. The men checked the dresser not once, but twice. Despite their efforts, they couldn’t find anything inside of the antique, at least that seemed to be the case. There seemed to be no other explanation as to what caused the sounds from within the dresser when it was tipped over. But they didn’t give up. Everyone was curious and a large crowd had now gathered to find out what was going on. Everyone now knew that the dresser was holding a secret inside it, now it was just a matter of finding out where its secrets were hidden. What had been making all that noise? They were determined to find the source. 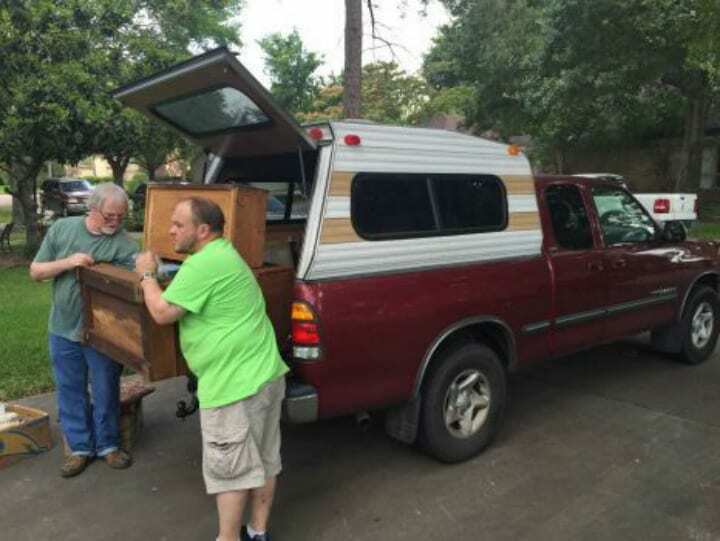 “As soon as we laid it down, it started making all this racket on the inside,” said Allen, one of the men who was helping move the antique dresser into Emil’s truck. “Obviously we were very intrigued with what was happening with the dresser,” he added. The group of people now surrounding the antique dresser decided that there must be a secret compartment somewhere inside of the dresser, seeing as all three of its drawers were completely empty. But where was is? This was one mystery that they weren’t about to leave unsolved. Unintentionally, they were about to find out. Unable to find where the noises were coming from, the team decided to lay the dresser on its back, and it turned out that that was exactly what they needed to do to locate the secret compartment. As it turned out, it was located in plain sight, right under their noses. Apart from the three obvious drawers on the dresser, each with molding on the outside, there was a plain board at the very base of the dresser. From the outside, it looked like any ordinary piece of wood, but when turned upside down you could clearly see the cut-out of what looked to be a handle. Still the question remained — what was hidden inside? “When you look at the front of it, it looks like it has three obvious drawers with molding on the base,” explained Emil Knodell. “But the bottom has a secret drawer that opens up.” When you think about it, it is the perfect hiding space. Right in plain sight but you would never think to look there. And obviously, other people never thought to look there either. All those who came before Emil, would likely be envious of what he’d soon find as many of the secrets held within the hidden drawer were priceless antiques. And they were about to open the drawer to reveal its long-forgotten treasures that not even the seller’s own son had known about. The estate sale at which Emil had found this particular dresser was being held to auction off various belongings of a man who had passed away. 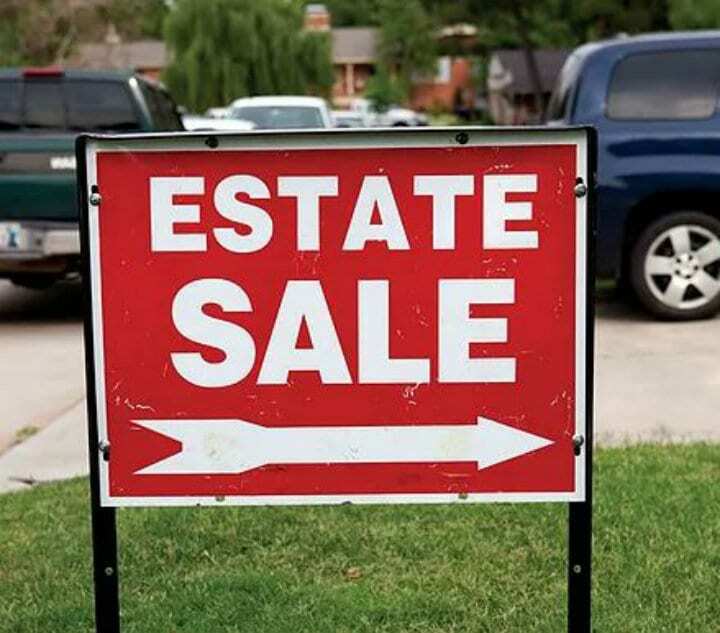 Such estate sales often take place in order to sell off the person’s belongings that the family members don’t want to keep or don’t have the room to keep. 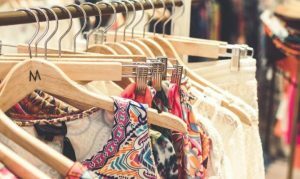 These sales can be a goldmine of cheap antiques and other valuables, seeing as the family members of the deceased sometimes aren’t aware of the value of each item being put up for sale. That is also true for yard sales, when families are just looking to clear out some free space in their house, no matter how valuable some items may be. And that’s exactly what Emil Knodell had stumbled upon. 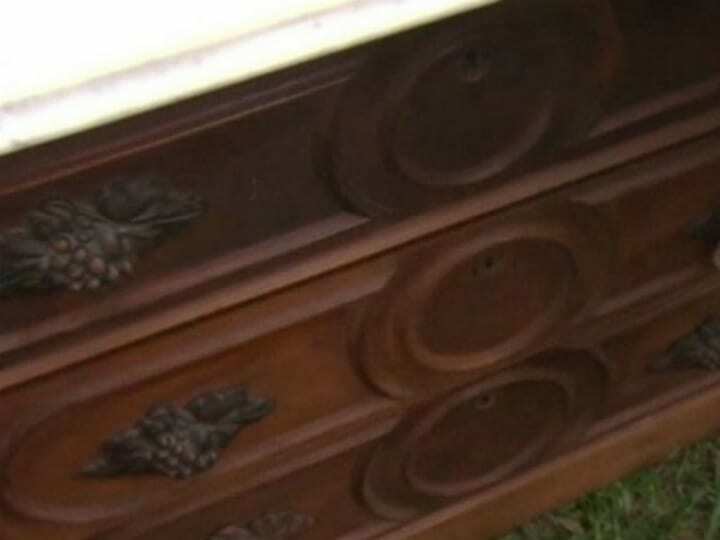 At this point, numerous people had seen the dresser and had already inspected it prior to being put up for sale. All of them, the professional appraisers and the family of the deceased man to whom the estate belonged, missed the secret part of the dresser. It’s pretty amazing to think about how not even the man’s immediate family members knew about the secret dresser drawer — and that perhaps he didn’t know about it. 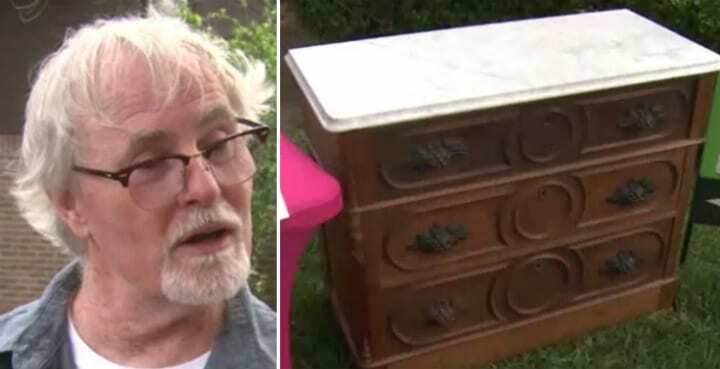 Apparently, the deceased man had inherited the dresser from his parents who used to live in Michigan. So, it’s not unthinkable that the drawer had been hidden for decades in secret, just waiting to be discovered. Still, there were more incredible revelations about the hidden contents of the dresser. In buying the dresser, veteran Emil Knodell got a lot more than he bargained for. He bought the antique three-drawer dresser at a rock-bottom price, only to discover that it was actually a four-drawer dresser. And one of he compartments could serve as a secret hiding place. Emil Knodell was already very pleased with his purchase of the three-drawer dresser and its beautiful marble top and intricate molding, but he would end up with so much more than just that. He ended up with real life buried treasure like most people can only dream of. The secret drawer, as it turned out, was only the beginning. 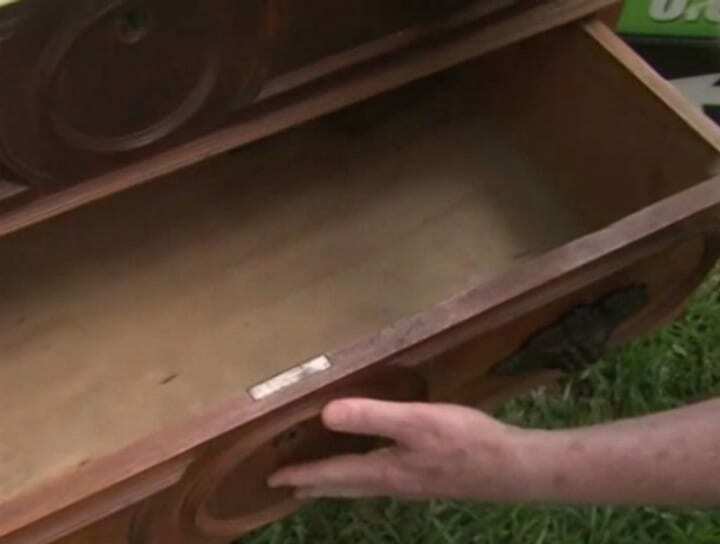 The suspense was at its peak as Emil Knodell and Jeff Allen were about to take the plunge and open the secret drawer. Emil didn’t know it at the time, but had certainly got much more bang for his buck with this antique item. When the drawer was finally opened everyone gasped at the contents of the secret drawer. It was far more than any of them had ever imagined. They didn’t just find treasure, but also important historical artifacts from American history. 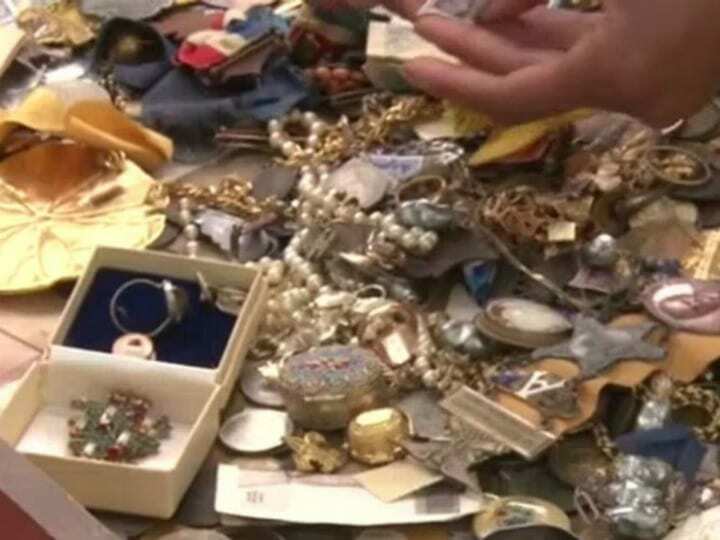 What exactly these hidden items inside the secret drawer turned out to be, would shock everyone who was at the estate sale. When Emil opened the secret fourth drawer for the very first time he said that it was a huge adrenaline rush. For that brief second while the drawer was being opened everyone was holding their breath, hoping that they had just landed on a chest full of gold. And they weren’t far off. The now-open secret fourth drawer was gleaming with the sparkle of gold and jewels. 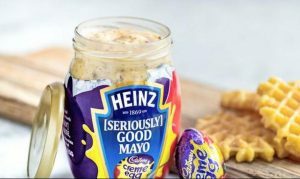 As Emil Knodell explained, they “were in shock for a second.” It turned out that the secret drawer was full of priceless items that none of them could have imagined, none of them anticipated such a haul. Emil’s expertise in antique hunting certainly had paid off again. 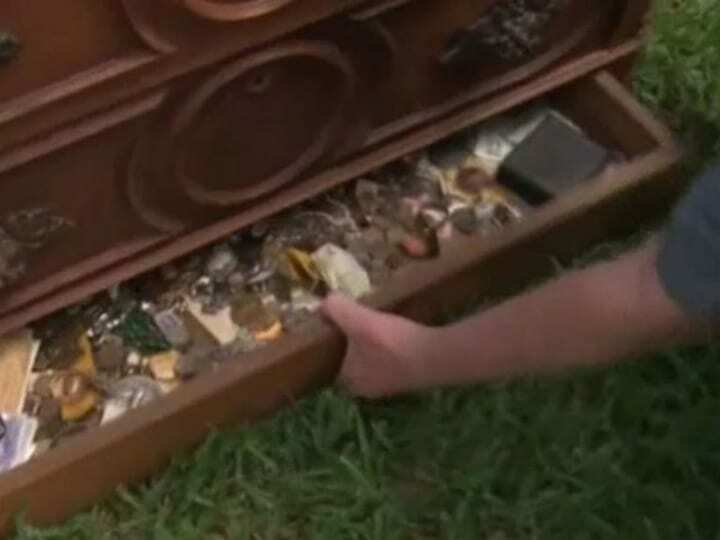 He had discovered a real life treasure chest hidden in an antique dresser. 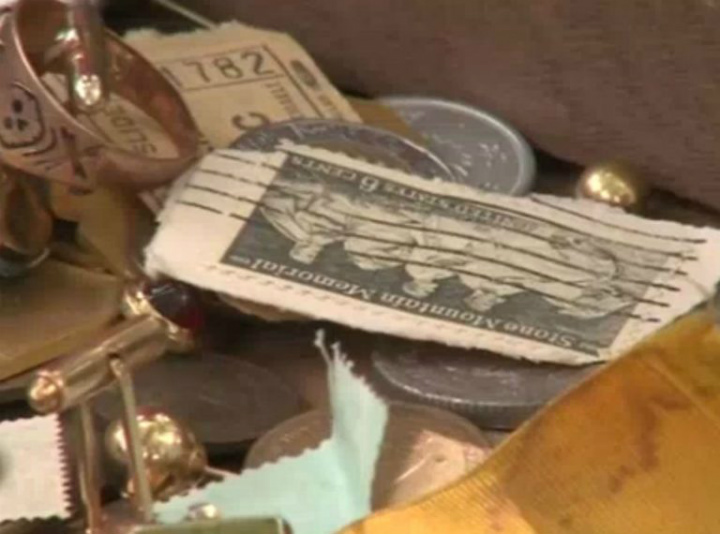 The secret fourth draw was stuffed full of jewels, money from all around the world and old personal mementos. But that wasn’t all. Some of the items even dated all the way back to the Civil War, such as military medals and dog tags. Out of the more bizarre items was a perfectly preserved lock of hair. 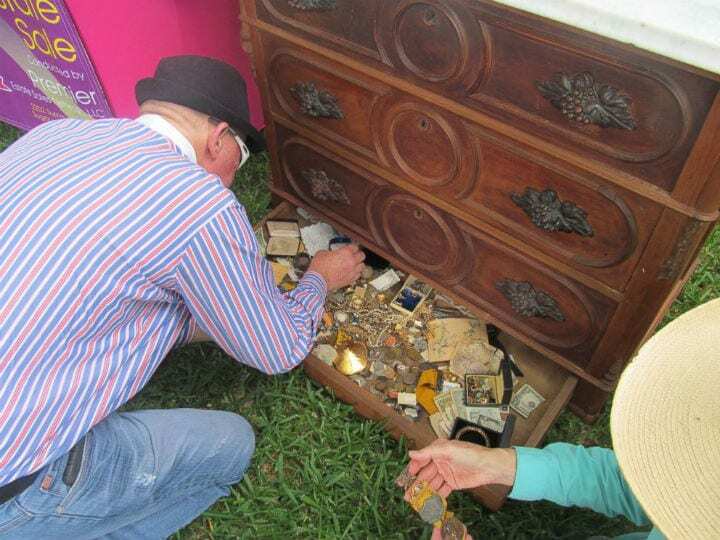 Emil Knodell had certainly struck treasure with his find, seeing as it was worth far more that the mere $100 that he paid for the antique wooden dresser. But just how much it would all add up to was quite extraordinary. While all of the items in the secret fourth drawer were not professionally appraised, it was estimated that they are worth at least $15,000. Now that’s a big return on a $100 purchase, plus he also got the antique wooden dresser which in itself was something of a priceless item considering how old it was. And old it was. Initial estimates from the estate sales company dated the dresser as being from around 1890, which seems like a pretty accurate guess considering the items that were held inside of it. 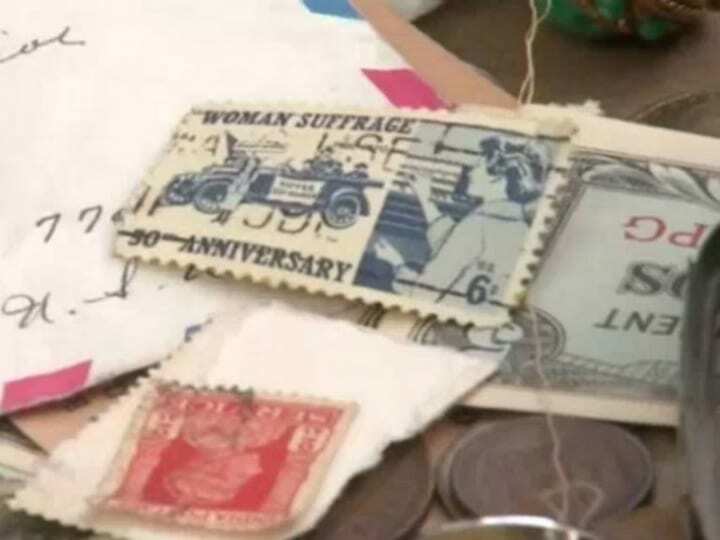 However, it might even be older than that estimate considering there were items in the secret fourth drawer dating back to the Civil War. What Emil would do with his newfound loot, though, would make his story even more incredible. One very big issue with the antique wooden dresser and the treasure that it contained still existed. What would Emil Knodell do with all of it? It would have been easy for him to sell all of it and keep the money as a profit from his amazing find. But morally, would that be the right thing to do? This is the question that came to Emil’s mind after finding the secret drawer. Technically, he had only purchased the dresser, not the contents held within. And seeing as no one had known about the secret drawer or what it contained, the question remained — to whom did it belong? Considering none of the treasure was really included in the sale of the dresser, Emil Knodell was faced with a big dilemma. Either keep the priceless items for himself or return them to the next of kin. This was certainly a ‘too good to be true’ scenario. 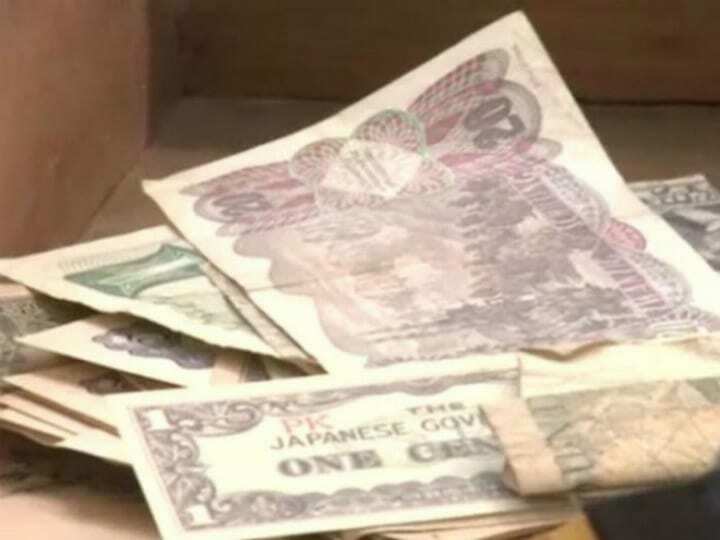 Emil could have easily kept the loot, however, people at the estate sale had already seen him open the secret fourth drawer and find the treasure held within. Another option was to simply return all of the items, as that would appease his moral conscience in this case. For Emil though, this was a very simple question to answer and he didn’t even think twice about it. Emil Knodell just couldn’t bring himself to play by the ‘finders, keepers’ attitude. While other people might have just taken off with all of the loot and been happy with the profit of 150 times what they paid for the item, Emil was no ordinary man in this aspect. According to Emil Knodell, he always strives to do the right thing. And as a US veteran, he has a very strong moral compass. 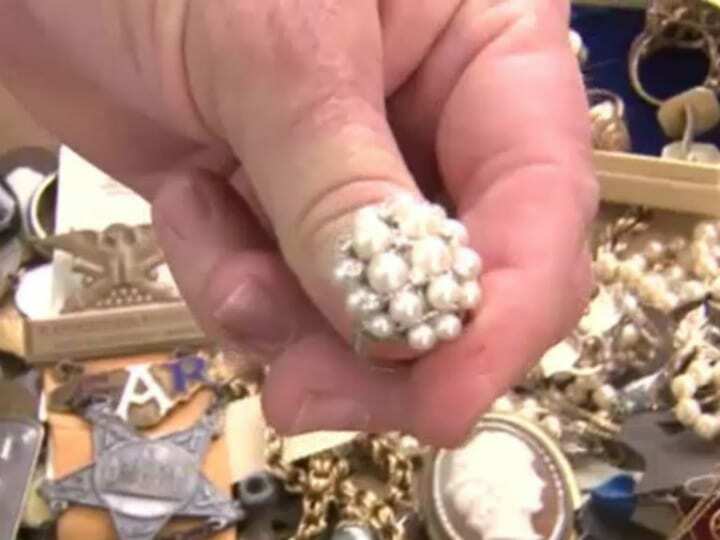 So, just what he do when it came to what to do with all of the antique treasure he found in the dresser worth at least $15,000? For Emil Knodell, it wasn’t a question. Not even a second thought. 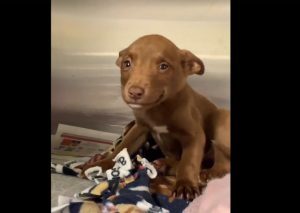 He immediately returned all of the items that he found to the estate sale, which was returned to the next of kin to decide what to do with it all. “I bought the chest [of] drawers. I didn’t buy those things,” Emil said. “If I kept them, I would never feel right about it. 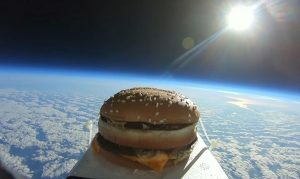 There would be a cloud over the whole thing. 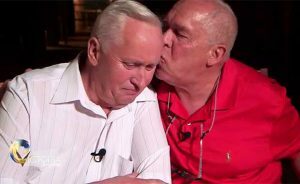 It’s a feeling more than anything else.” Emil’s strong sense of right and wrong was what he used to help guide him to the right decision, and for him it was an easy choice. In light of the huge fortune he had stumbled upon, his reasoning was all the more heartwarming. Jeff Allen, the man that was helping Emil load the dresser into his car, also felt the exact same thing. 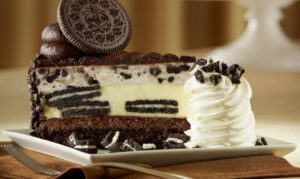 There was never a question of whether or not to keep the treasure. Both of them were always of the mind to have all of the treasures returned to their rightful owner. And luckily for them, the owner of the hidden treasure was not hard to find seeing as he was the executor of the estate where the estate sale was taking place. And he was equally as shocked to find out what was inside of the secret fourth drawer. 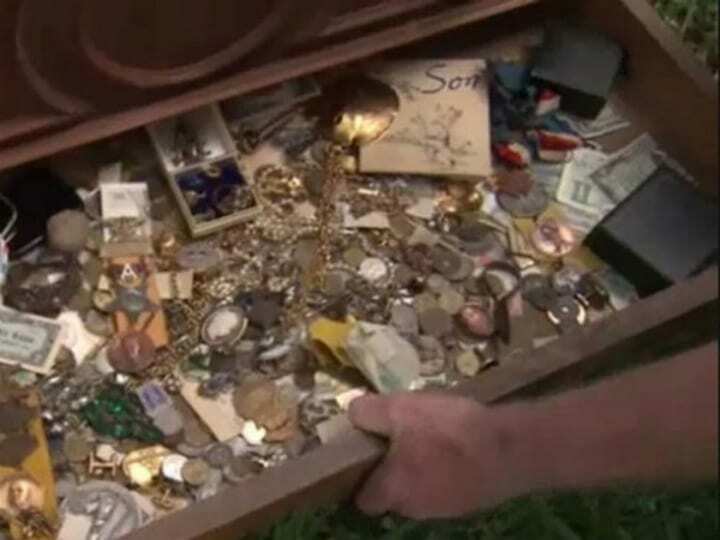 The owner of the dresser recalled seeing the piece in his grandparents house in Michigan, but he could have never imagined that it contained a secret drawer or that it contained such valuables and treasures. He was also very grateful that Emil Knodell decided to return the items instead of keeping them. 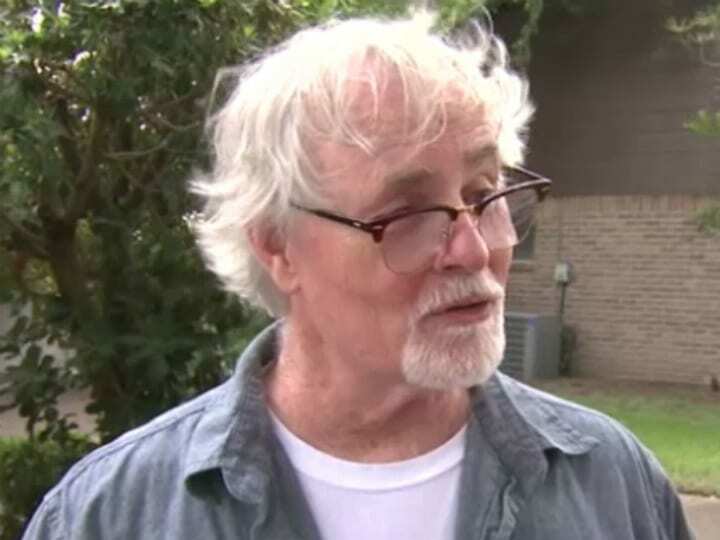 “I’m an old ex-Marine, and I try to do the right thing,” Emil later told reporters. According to him, the moment that he found the treasure he said that they should call the owner. 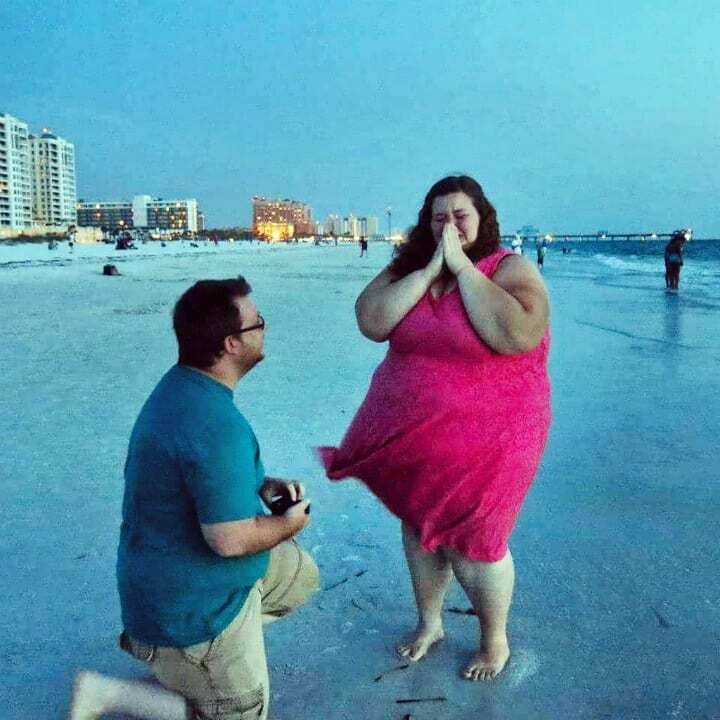 To him there was never a question of keeping it. He says that while it was a fantastic find, it wasn’t his to keep. 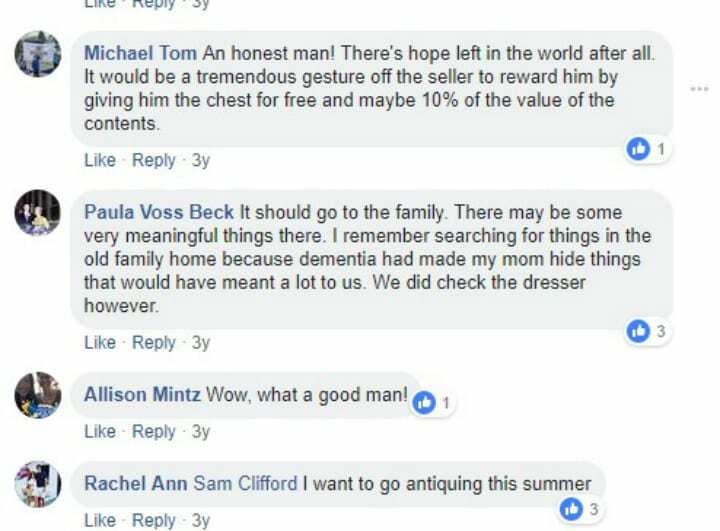 While Emil Knodell certainly thought he was doing the right thing by returning the treasures he had found in the dresser, other were of the opinion that he should have kept the chest and claimed the diamonds, jewelry, cash, and the Civil War memorabilia as his own. Some might think Knodell should have kept what he found to himself — finders keepers, right?! Well, it doesn’t really matter what others believe or feel because he did what he felt was right. He felt like he wouldn’t have derived much joy from anything if he didn’t stick to his moral and ethical compass. Some tend to agree with Knodell. Most people commended Emil Knodell for his honesty when faced with a very tricky situation. 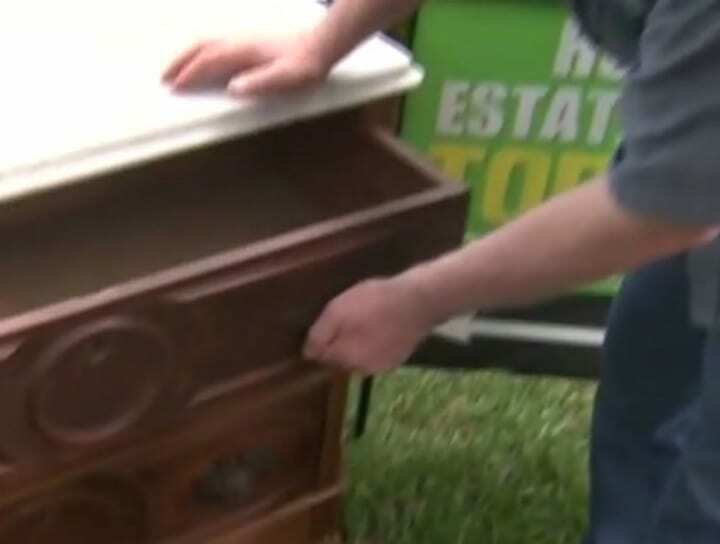 After all, he did purchase the dresser, so whatever he found inside technically belonged to him, but that wasn’t enough to prevent him from returning the goods to the rightful owners. 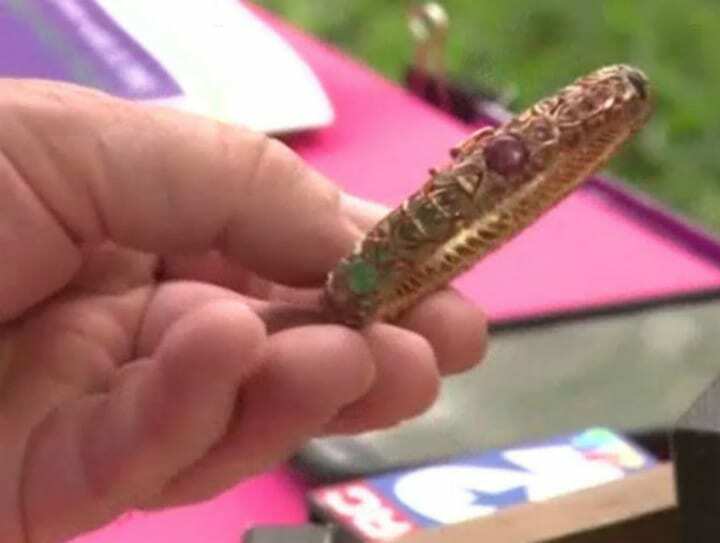 Some were even of the opinion that the treasures could hold sentimental value for the owners, and that in itself was enough to track them down and return the unexpected find. What’s more, some people don’t even know valued and meaningful good are missing until someone points it out to them. while some could think they are lost forever and get pleasantly surprised. So this indeed is a lesson to learn. 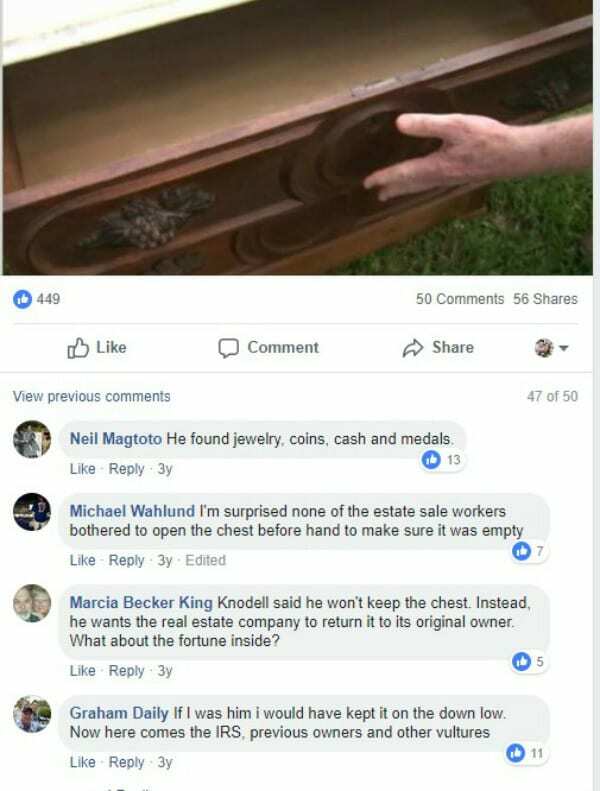 If you enjoyed the story of how Emil Knodell stumbled onto hidden treasure inside of an antique dresser, please feel free to SHARE this article!